As you can see in the photo, there has already been a big difference (please ignore the dog hair on her face HAHA) in her hyperpigmentation, redness, and overall number of active breakouts. She is currently on day 15 and the results are getting better and better as we speak. We will update you on day 30! We also really love how interactive it can be. You can post a “postcard” to the community and people can share their support. You can also go back and view your treatment plan whenever you’d like at your convince under your profile on Curology.com. They also ave 24 hour support if needed! How cool is that? Curology also has different articles in which they recommend certain cleaners and moisturizers made by other companies to help simplify your skincare routine and take the guessing game out of shopping. If you’re not noticing a difference, you can retake the consultation at any time to try a new formula, which is pretty cool, I think! Overall its been an excellent experience, and we can’t wait to see where 30 days gets her skin. Halfway there! I think this product has the potential to be great for most anyone, considering it is custom! Hey DS fam! We took a little hiatus for the holidays but we’re back in action now! Today we’re talking skincare and the best mask for those days when the hangover has taken over your life. Alcohol is dehydrating, this means a night out can cause your skin to be extra dry and tired the next day. To combat looking like an absolute troll all day long, we encourage you to hydrate from the inside with Gatorade (not the most glamorous, but it works, I’m telling ya), and from the outside with the Starskin 100% Camellia Oil Anti-Wrinkle Mask. Its our go-to! We love a good sheet mask, they’re easy, quick, and insane looking which always makes it fun haha. Its a good way to freak out your significant other when they least expect it. Camellia oil is high in fatty acids, which makes it easy to absorb quickly and without irritation. First you’ll want to cleanse your face and pat dry, then you’ll want to tear open the package and separate the oil capsule. Once step one and two are complete, you’ll break open the capsule, apply the oil to the face, then you’ll open the 2nd sachet, remove the protective layer, and apply it to the face. The its chill time! A full 15 minutes of relaxation is required ;) After the 15 minutes has gone by, you’ll remove the sheet and discard, gently massage in remaining product (not not rinse) and VOILA, you’re good to go! This product will leave you feeling, soft, hydrated, and glowy! What more could you ask for? We’re excited to introduce a new series on the blog. Every Monday you can return to the blog and get to learn more about our team members on a personal and professional level. We’ve loved getting to know you all throughout the years, we thought we’d give you some insight into what we’re about! We will also be highlighting specific services we offer, so stay tuned to learn more about us and our services. If you’re looking for a last minute Christmas gift but you’re not quite sure what to get, or if you’re trying to delve more into makeup/skincare but you’re not sure where to start, I have the PERFECT thing for you! The Boxy Charm box is a consumer favorite! In this box you will receive 4-5 full size, brand name, products From Tarte, Pretty Vulgar, Cosmedix, Ofra, etc! They have a few different subscription options, $21 for the monthly subscription, 3 months at $19.66 per month, 6 months at $19.33 per month, or one year at $19.25 per month. Of all the beauty boxes out there, this one is our favorite. The beauty experts at Boxy Charm carefully select each item based on current and emerging trends so you’ll always be in-the-know! It is a great way to stay up to date and add to your collection without doing much thinking about it. It also acts as a great gift for teens. Its the gift that keeps on giving, arriving at your doorstep once a month. We’re always excited when our Boxy Charm boxes show up with all the surprises inside! This week we’re discussing skincare. As many of you are experiencing dry skin, you’re probably wondering the best way to combat that. Dry flakey skin isn’t the cutest and you can’t cover it with makeup and quite honestly, makeup usually makes it look worse. We have a couple tips for you that you can do in-home! First you want to start by exfoliating your skin. We at Danielle Style SWEAR by the Clarisonic facial cleansing brush. With multiple different brush heads, you’re sure to find one that suits your skin. Not only will it exfoliate off the dead skin, but it also deep cleans so its great for oily/acne prone skin as well. Pair this guy with your favorite cleanser and you’re golden! Following the exfoliation of your skin, you’ll want to bust out your moisturizer, there are a few on the market we enjoy, but luckily Clarisonic has paired up with Kiehl’s this year for a gift set. In the set, you’ll get you brush, your charging stand, and cleanser, a moisturizer, and a deep cleansing mask. If you’re extra dry, maybe save the mask for spring/summer when your skin is creating more oil. We love Kiehl’s, it is formulated without Parabens or Sulfates, this means that it is healthy for your skin. You’re guaranteed to get great results with this set. Today we’re talking about our travel must haves straight from Danielle’s travel bag from her recent get-away to Morocco and Paris! We have included the links to all the products above for your convenience. Happy shopping! Hey friends! We’re back this week with another skin care product! Sunday Riley Good Genes should be a staple in everyone’s skin care routine. It is a chemical exfoliant that helps fight the aging process by exfoliating, plumping fine lines and evening texture, reducing the appearance of hyper pigmentation and increasing circulation for radiance. This treatment is great for all skin types, oily, dry, combination, you name it! This product is an AHA, therefor you’ll want to pair it with a sunscreen as it will make your skin a little more sensitive to the sun. The great thing about Sunday Riley is that all their products are formulated to work safely with all of their other products! THE BONUS: this product is cruelty free! -Layer under Tidal Brightening Enzyme Water Cream to fight the appearance of stubborn hyperpigmentation. -Layer on top of Luna Sleeping Night Oil (or use Good Genes in the morning and Luna at night) for anti-aging radiance and the appearance of healthy, youthful-looking skin. -Can be applied under foundation as a radiance primer, without any oiliness. -Can be combined with Ceramic Slip (two pumps of Good Genes and one pump Ceramic Slip Clay Cleanser) for a "Flash Facial" mask. -Leave on for one to 10 minutes for an immediately radiant, deep detox facial. Today we’re here with one of our favorite skincare products! This is great for the dryer seasons, fall and winter. If you’re sick of suffering from dry skin, we have the product for you! This mask is great for any skin type that suffers from overall dryness or dry patches, while helping with any dullness as a result of dry skin. This hydrating mask soothes thirsty, stressed-out skin by steeping cells in a nourishing mix of vitamins, ceramides, antioxidants, and gently exfoliating extracts. Skin looks instantly renewed, radiant, and ready for anything. The BONUS: its formulated without sulfates SLS and SLES, parabens, formaldehydes, formaldehyde-releasing agents, phthalates, mineral oil, retinyl palmitate, oxybenzone, coal tar, hydroquinone, triclosan, triclocarban. We love “clean” skincare! Now that we’re celebrating all things cold, lets talk dry skin, because HONEY WE’RE ALL ABOUT TO GET IT. If you’re anything like us you get dry skin in the fall and winter months because there is less moisture in the air. This can cause quite the problem when applying any kind of makeup products to the face. While makeup is a great tool to hide our imperfections and bring out features that we like about ourselves, its not a miracle worker and can’t fix texture. We always say makeup is only as good as the skin underneath, so its best to take care of it! We’re no stranger to writing about skincare, but what about the tools? Lets talk your new Must, the Clarisonic! Your favorite day is here and we're back with another favorite of ours ;) If you struggle with redness, irritated skin, or sensitive skin, you'll love this bad boy. Unfortunately Danielle recently had a viral infection in her skin that caused multiple breakouts and redness throughout her face. After properly medicating the issue, she was still left with redness and was looking for a way to solve the problem and found the First Aid Beauty Anti-Redness Serum. As you can see on the packaging, this little guy claims to help skin look calm, relieve visible redness, and reduce the appearance of flare ups, and we have to say, it definitely lives up to the promises. It is allergy tested and BONUS: CRUELTY FREE! YAY! We're here with another skincare product we've been loving. If you have excessively oily skin or are acne prone, you will love this gem! This product does exactly what it says its going to do. If you struggle with large pores, acne and blemishes, or oiliness, this product helps to control all of those things. Leave on for 20 minutes once a week and you're golden! While its on your face you will notice little dots forming, this is a vacuum extraction, so you know its working. We swear by this guy! This week we have something a little different. It tastes good and it works wonders! I bet you're wondering what it could be. 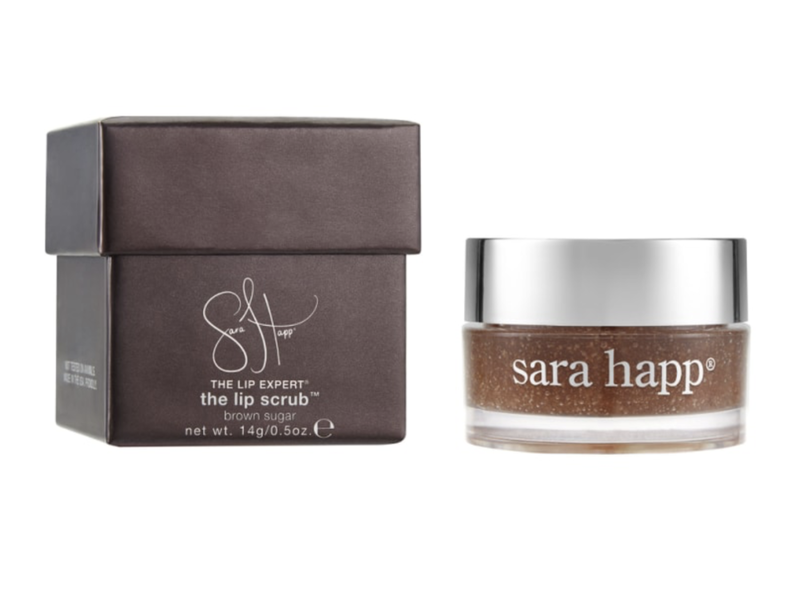 Our favorite lip scrub! If you suffer from dry lips, you'll love this guy. It also doubles as a tasty treat, coming in six delicious flavors of Brown Sugar, Coconut, Pink Grapefruit, Red Velvet, Sparkling Peach, and Vanilla Bean! We can confidently say that they all taste great! Leaving your lips soft and supple, formulated without parabens, sulfates, phthalate, and gluten! Whaddup merch fam! Its your favorite day of the week again! This week we're talking quick and easy, on the go! Its summer, we're sweating, we're working out, we're at the pool, we're playing with the kids in the yard, its getting icky and sticky! I'm sure you're tempted, like we are, to start over showering but I'm here to tell ya, thats not a good call. It over dries the skin, and does more harm than good. Stay clean this summer with our favorite new face wipes! Swipe along the face and freshen up with these bad boys! Clean AF on the go face wipes, we can't get over this cute AF name. Pair them with the Pacifica Underarm Deodorant Wipes and you're extra fresh and good to go! Hey friends! Today we're here with another summer favorite! As you know we've been posting in the vein of skincare, and lighter coverage makeup products. Summer is all about that dewy, healthy skin, glow. This week we're talking lip products! Clarins Instant Light Lip Comfort Oil! We love this product for a multitude of reasons. Not only are you getting a lip smoothing moisturizing treatment, it is offering a hint of color to even out the lips and create a juicy effect. This product is perfect for the ladies that like to lay out, gone are the days of dried lips! In 7 shades, you are sure to find the perfect one for you! If you're not into lip oils, you're going to love this one! Tom Ford Soleil Lip Balm! You get the same benefits as the lip oil, just in a balm format if you prefer that texture. There are three other shades not pictured here. Here is a third option, Tarte Quench Lip Rescue Balm, similar to the Tom Ford, however this one is cruelty free and vegan friendly! 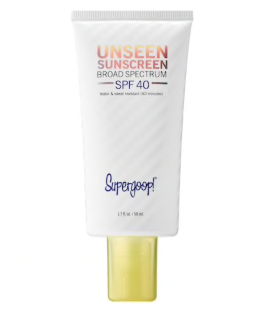 This product gives you a lightweight, even wash of color while protecting you from the sun with SPF 35. It also doubles as skin care! Armani Prima Color Control Glow Moisturizer is formulated with Moringa oleifera extract, Vitamin E and Adenosine, reviving the complexion with long-lasting hydration. Blurring fine lines and blemishes and giving you that "glow from within" look, this product should be a staple in everyone's summer routine! Ok so this week's fav is not exactly "merch," but it is a MUST for all of our brides as well as a general summer must. So here's the thing! Skincare is important in summer because you're probably wearing less makeup than you normally do, because lets face it...most of it is melting off in the pool. We want to look and feel our best in our most natural state here in St.Louis during the summer months, and the best place to start is with regular facials. As for our brides: GIRL! MAKEUP GOES ON WAY BETTER WITH CLEAR/SMOOTH SKIN. I'm sure you've heard this before but we thought we'd say it again. We specialize in airbrush foundation (yes we use other foundations at the request of the client/skin condition), because of the way airbrush foundation works, its best to rid your face of any vellus hair. If you're not sure what vellus hair is, let me explain. Picture a peach, its those tiny little fuzziest that, unfortunately, we humans also have. HAHA! With the vellus hair on your skin, the airbrush can tend to sit directly on top of it instead of your skin, making the hair look a lot more noticeable... if there's one thing in life I'm sure of, we don't want to have visible hair on our face. :) In addition to vellus hair, there is only so much makeup can do for texture, we can cover discoloration, etc. but a bump is just that, a bump. In order to reduce these and the vellus hair problem, we strongly recommend regular facials leading up to the big day starting, at minimum, once a month six months out. The week of the event, we recommend getting the Dermaplane treatment to rid your face of vellus hair. You're probably wondering where the best place in St.Louis is, and we have just the place for you! The Avani Derm Spa. They offer anything and everything your face could possibly need! Facials, laser treatments, spray tans, injectables, etc. This is where we go, so we KNOW you'd love it too! Being that we are speaking to a wide variety of skin types, we recommend booking your consultation/services directly through them based on your needs. We have conveniently linked their website below where you can read all about their services and find their location and phone number. We know it says hair in bold letters in the title, but honestly, we don't use it on our hair. We use this solely for our body. It is the perfect dry oil mist that comes in an aerosol container making it super easy to apply. Mist it over skin, rub it in, and it sinks right into the skin without leaving an oily residue on your body or hands. And it smells like rose!!!! We know what you're thinking, your grandma used to use rose perfumes, but I promise it is not an overwhelming scent. Its light, fresh, and perfect for summer. Its that time again! Your favorite day of the week! Sticking with the theme of summer/sunshine we have an incredible eye cream to recommend to you! It corrects, protects, and addresses all of your delicate eye area's concerns. If you're looking for an eye cream with SPF (which you should be, we've talked about this before) that is also a CONCEALER, look no further. This baby is your new baby! This product claims to be good for all skin types, totally invisible, and weightless, and we have to say, it lives up to its claims! This product is our ride or die, and I'm not sure you could convince us otherwise. One of our favorite parts? IT IS COMPLETELY SCENTLESS, gone are the days of deciding between SPF or perfume. You can use this on your face as well as your last step before makeup as it works as a great primer as well. Multi purpose products? YES PLEASE. The bonus? It is clinically tested and cruelty free! Today we're talking skincare! Specifically, we're talking spot-treatment, and quite possibly the most versital one on the market. We love this product for multiple reasons. The first reason is that it works, and it works fast, who doesn't want that kind of power in a product? Salicylic acid and glycolic acid work in tandem to help clarify skin. Salicylic acid helps to relieve inflammation and redness and glycolic acid exfoliates the skin, helping to minimize clogged pores. The second reason is that it is completely transparent, meaning you can wear it during the day, under makeup or on top of makeup! WHAT?! Total game changer. In the past, we've had to wear our spot treatment at night because of the color of the product, its not necessarily cute to walk around with dried peach cream plastered in spots on your face. This means that you get a longer wear time out of this product, which also means a fast heal time! The packaging on this product also looks like a normal lip gloss, so its discreet, and most people would never know what it is! Bonus reason to love this product? ITS VEGAN AND CRUELTY FREE! WOOOOO!! CUE THE CHAMPAGNE TOAST!